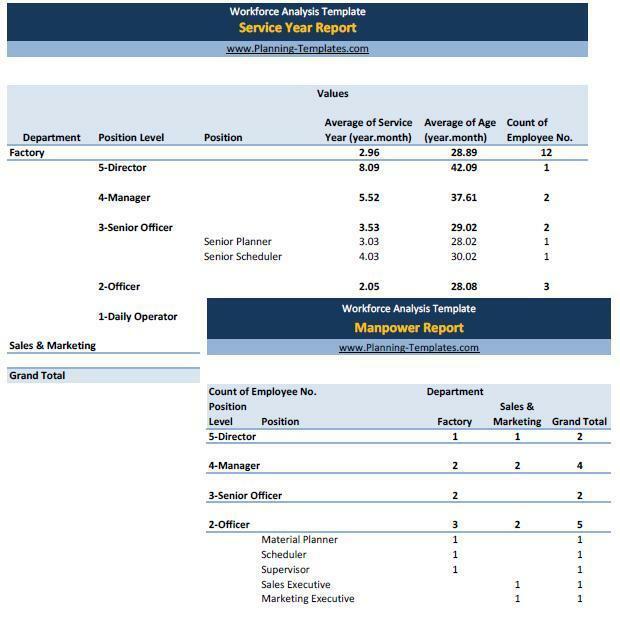 Workforce Analysis Template provide Manpower Status Report including Organization Structure - Department and Section, Position and Position Level, Age and Service Year information. consist of 4 master data, 1 workforce database, and 2 reports. Tip: Reports are created using pivot table, you can drill down or hide detail by press '+' or '-' locate on the left of column.